IF YOU thought it was hotter than usual last year, you weren't wrong. 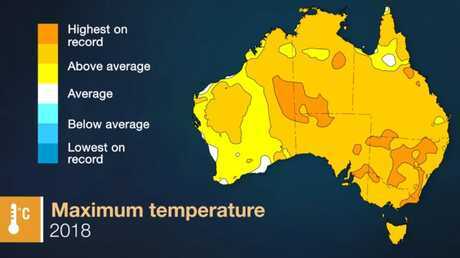 Climate experts have confirmed it was Australia's third-warmest year on record, with every state and territory recording above average temperatures in 2018. 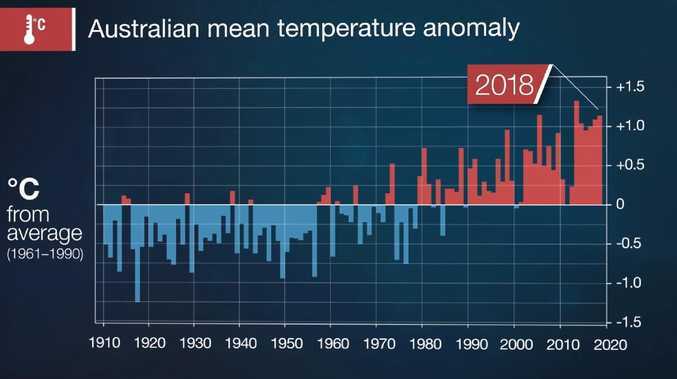 According to the Bureau of Meteorology's (BOM) annual climate statement, the nation's average temperature last year was 1.14C above the average for 1961-1990, making 2018 slightly warmer than 2017. 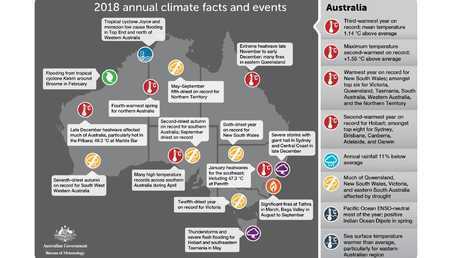 "When we look across all of Australia in 2018, we can see that every single state and territory had above average day and night-time temperatures," the Bureau's senior climatologist Lynette Bettio said in a statement on Thursday. Only 2005 and 2013 were warmer. 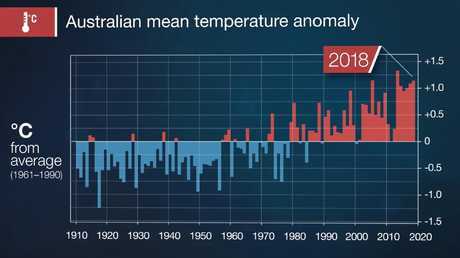 Nine of the 10 warmest years on record in Australia have occurred since 2005. 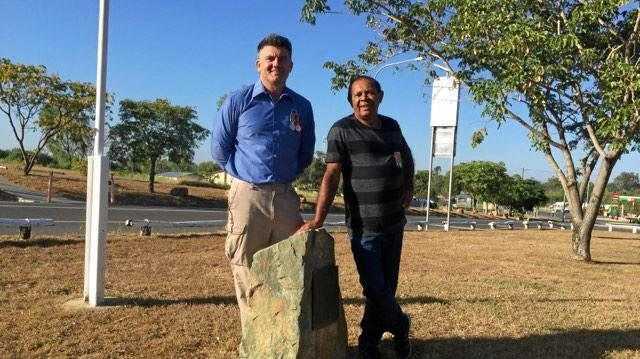 Dr Bettio said the only part of the country to buck the trend for above average temperatures was Western Australia's Kimberley Region, which had cooler than average nights for the year. The BOM also said rainfall totals in Australia in 2018 were the lowest since 2005. The total was 11 per cent below the 1961-1990 average, but many areas experienced significantly lower average rainfalls, the bureau found. Dr Bettio said large areas of southeast Australia had rainfall totals in the lowest 10 per cent on record. However, some parts of northern Australia and southeast Western Australia received above-average rainfall totals. Globally, 2018 was the fourth-warmest year on record, according to the European Union's Copernicus Climate Change Service assessment, released on Tuesday. The last four years have seen the highest average temperatures globally since records began in the 19th century.